I’m not a big fan of the terminology of “winning” NaNo. This isn’t a win/lose situation—any words you write are a win!—and it sets up the mindset of failure if you don’t happen to reach an arbitrary word-count goal. That said, drumroll please . . . 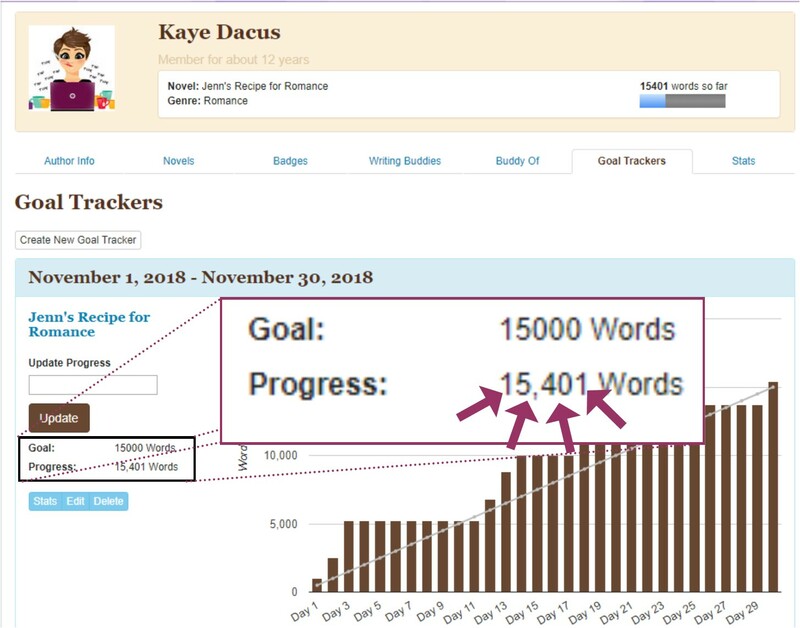 I HIT MY WORD-COUNT GOAL FOR NOVEMBER!!! I’m still struggling with the desire/motivation to write. More than five years of not writing at all is a long, hard habit to overcome in just four weeks (three, because Thanksgiving week and thereafter was a total washout). But that’s one of the reasons why I set such a realistic goal for myself. Because I know me. And I know that I’m one of those who, when faced with what seems to be an impossible word-count will . . . consider myself a failure and give in to the self-pity, self-deprecation, and depression that comes from not being good enough or perseverant enough to meet a 40-50k goal. Most of these 15,000+ words stink. Most will have to be revised, rewritten, or removed. BUT! They exist. And that’s 99% of the battle won right there!